Tangle Angel sent me one of their beautiful Tangle Cherub professional detangling brushes to try out with the girls. 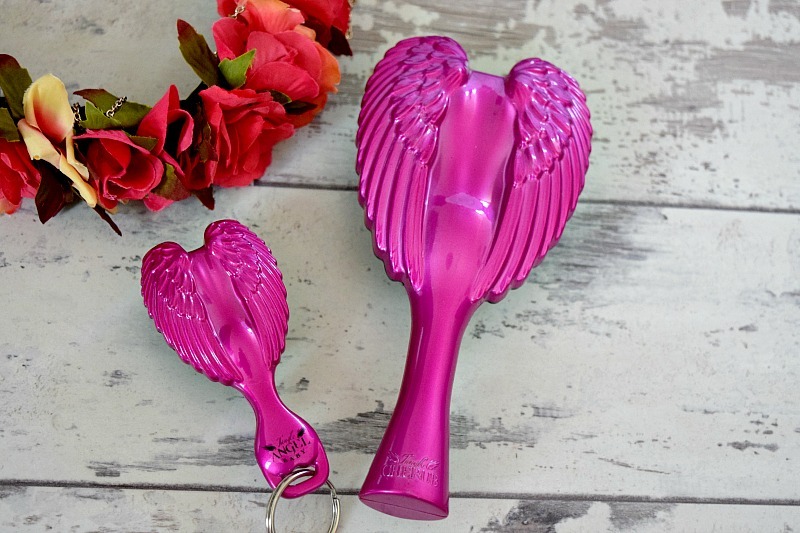 They are slightly smaller than the original Tangle Angel and so are perfect for gym/PE bags etc and are perfect for children. 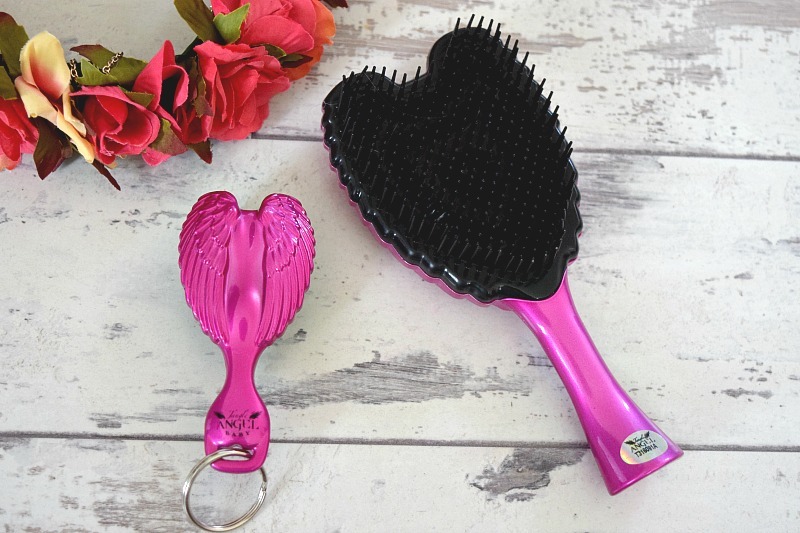 Hopefully having a brush that will delicately detangle their hair will help us get their hair done much quicker in the mornings with no moaning! The Tangle Cherub is quite compact yet it is a great shape to give you a good grip and the brush part is big enough to brush a good amount of hair at a time rather than fiddling about with different strands. I have already been using it on their hair each day and it is lovely having Elsie allowing me to brush her hair without any moaning! I think with how well it is working already, we should have no problems come September (fingers crossed). 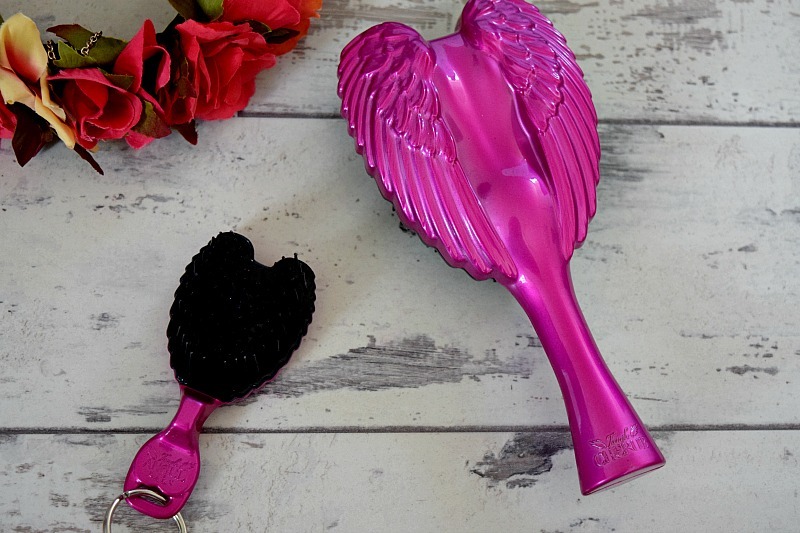 They also sent me an 'Angel Baby' which is a cute keyring sized brush for me to keep in my handbag so I will always have one to hand if we have a hair disaster on the way to school or out and about!